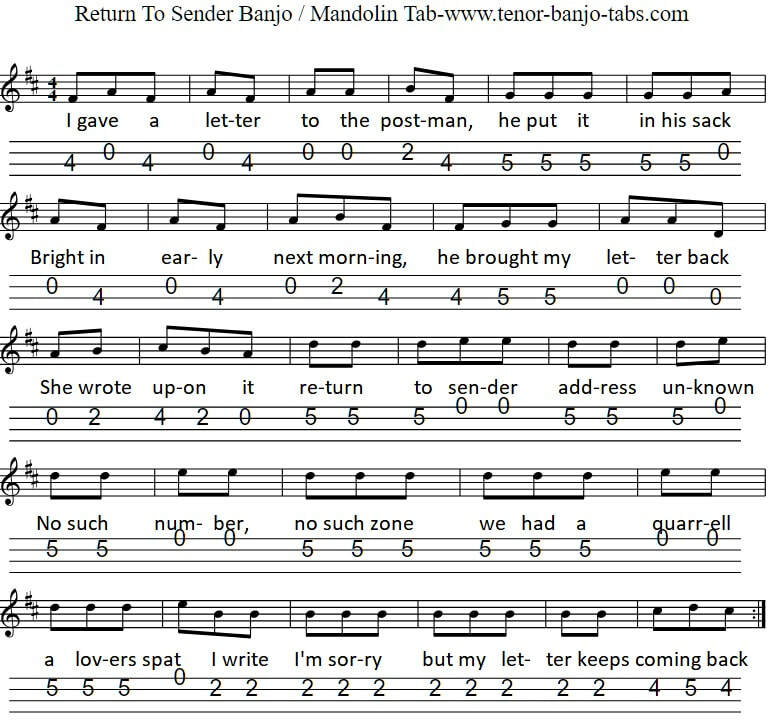 The sheet music tab for Return To Sender isin the key of D Major. A pretty handy little tune to play that you'll have off in no time at all. Recorded by Elvis.